Center for Worker Justice — Wednesday, June 20 at 6 p.m. While the national media focuses on immigration enforcement at the southern border as children are taken from their parents, there’s an ongoing effort in Iowa to help people deal with how Immigration and Customs Enforcement (ICE) agents are enforcing Trump administration policies here. EICBP is one of the sponsors of Keeping ICE Out of Iowa: Deportation Defense Discussion at the Center for Worker Justice on Wednesday. Iowa Citizens for Community Improvement (CCI) is also sponsoring the two-hour educational meeting, along with EICBP and the center. The Iowa City meeting is one of three occurring around the state this week. Madeline Cano, a CCI community organizer, explained the point of these meetings is to help make sure communities are prepared if an ICE raid occurs. Developing the community response teams is important, Cano said. The teams are made up of both immigrants and citizens; they work on three different tracks: legal support, family support and advocacy. The importance of developing a communications infrastructure is also stressed in the community response team model. The call center will have a contact list, like a phone tree, to inform the community, while a citizen member of the team checks out the location where ICE agents have been seen. If anyone is detained, an attorney is sent to where the detainee is being held. One of the functions of the advocacy team is to tell the stories of those who are detained to the public. That was the thinking behind the founding of EICBP in 2017, Espina said. The nonprofit works with immigrants to help them understand their legal rights and provides money for bond for individuals detained by ICE in selected cases. “Being able to make bond is a very large predictor of success in an immigration case,” Espina said. Espina and Cano said they hoped that the community response team model will help make the most of the limited resources available to immigrants. 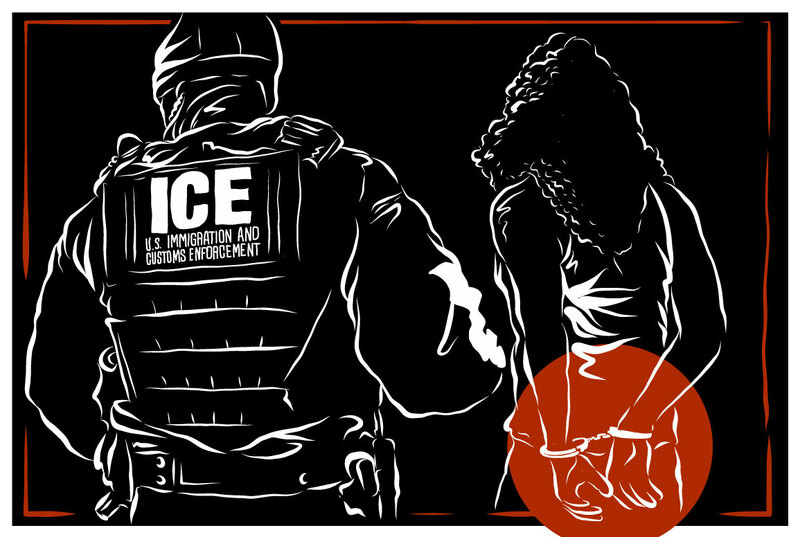 Keeping ICE Out of Iowa: Deportation Defense Discussion starts at 6 p.m. at the Center for Worker Justice, 940 S Gilbert Ct.